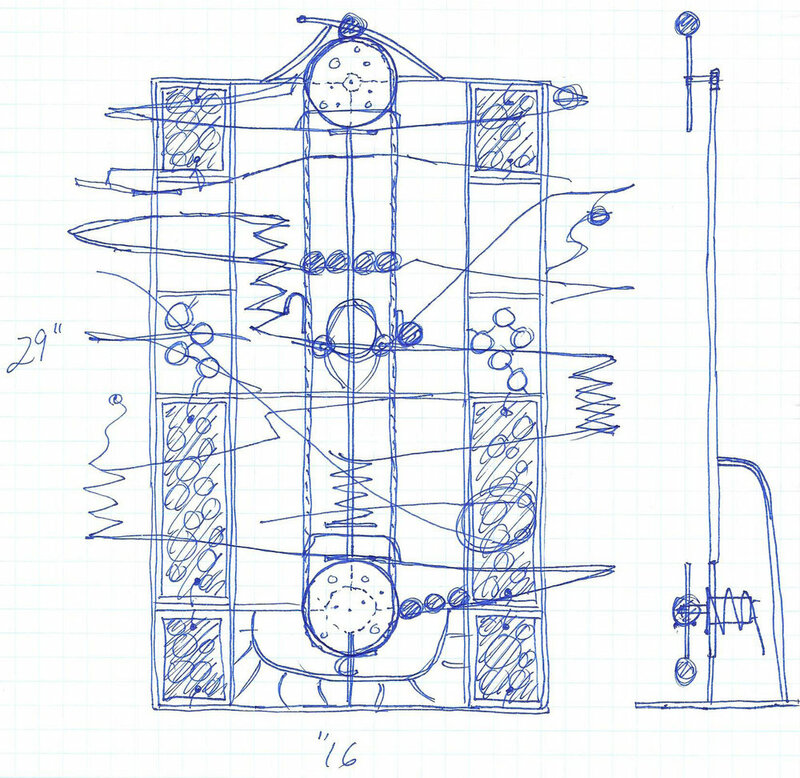 "Light" is a motorized chain lift sculpture with 1" marbles that travel up in steel arms to the top. Mounts right onto your wall via adjustable mounting brackets, or can be placed on your table. Both options are designed in! 27"H x 24"W x 11"D - Stainless steel sculpture with stainless chain lift. Signed, dated and numbered. ~15 - 1" blue and black/blue glass marbles. With 6 Aboriginal dot hand - painted steel panels and various kinetic elements. RBS 070 is called "Light". The lift type is a stainless roller chain with lift arms - the DC motor in the base turns the hand finished gears and raises the marbles up to the top. 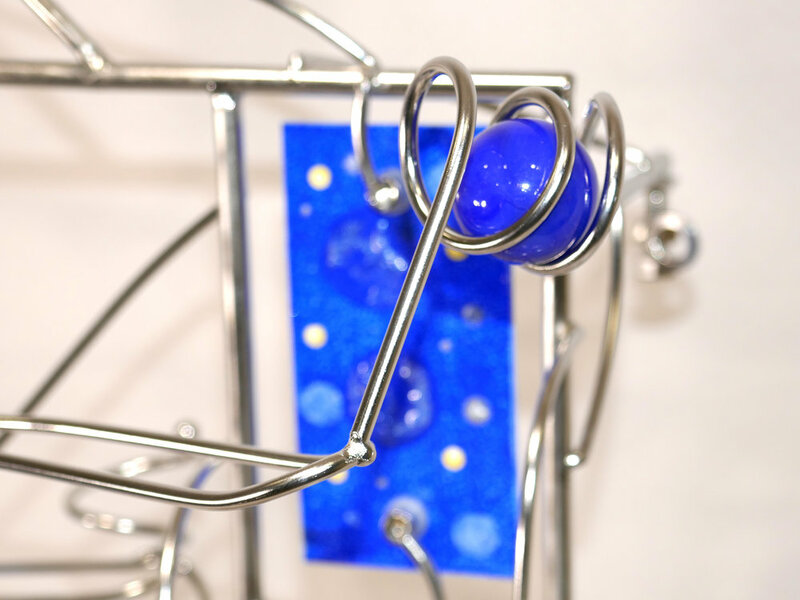 Of the three lift types I use on my sculptures, the chain lift is the most challenging. And it is rewarding too - the chain lift allows for height - allows for a vertically oriented work. This piece, as well as others, features a wave form at the top. When I was younger I drew an endless number of endless waves. I realized that I am drawing now with metal, and that the different diameters of steel rod are also line weights. So, now there is an endless wave on my works. Integrate. And the wave form also functions as a handle to carry the sculpture when needed. This rolling ball sculpture is signed "Jendro" in metal on the base, and also signed and numbered and dated on the reverse side of the painted panels. It can be mounted on a wall using the adjustable wall mounts on the sculpture, or it can be set on a table. It is designed to do either. The sculpture is also designed to survive shipping stresses too.